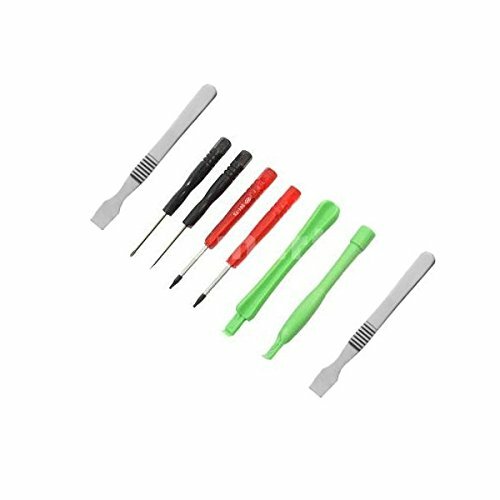 DescriptionThese tools are essential for repairing all iDevices. This kit will include all necessary tools for repairing, but not limited to, the iPod, iPhone, iPad, Zune and various Android devices. There are many other devices that can be repaired using this comprehensive tool kit. If you repair devices frequently this kit is a must have. QualityOver the years we have sorted through hundreds of manufacturers to build an offering of the highest quality parts and accessories on the market. If you have any questions about this product by GadgetMenders, contact us by completing and submitting the form below. If you are looking for a specif part number, please include it with your message.